The Chubb Safes MagTek range of Steel Security Doors is an ideal solution when you require extra protection against theft. 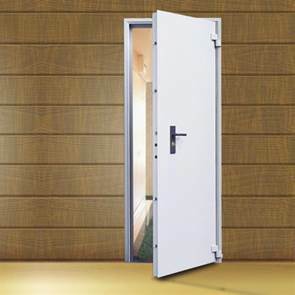 Whether you require an indoor or outdoor version, left or right opening door, the Chubb Magtek has been designed with a fixed aluminium frame with inclusion of special steel armour. For further advice when choosing the right Steel Security Door call Thornhill Security on 0117 9674994 where our specialists are on hand to assist you in your purchase. We also offer free delivery to a site at an address on the UK Mainland, or contact us for a quote to have our qualified engineers fully install your safe.